Despite the Syrian city of Aleppo still seeing an unsettling magnitude of violence and conflict, a Catholic Church is actively helping and providing hope to both Christians and Muslims who have remained in the city. According to Jesuit priest Fr. Ziad Hilal of the Catholic international charity Aid to the Church in Need (ACN), the Church has recently been stepping in to feed the hungry, the majority of which are Muslims. “We have a big kitchen, this kitchen was sponsored by ACN and other associations, and a lot of people who come — we give about 7,500 meals every day,” Fr. Hilal said, as quoted by Christian Today. “It is a lot, and the team is a Muslim and Christian team, and a lot of the people who benefit from these meals are Muslims,” he added. Providing the basic necessities such as food already goes a long way in making people more resilient and hopeful that things will turn out for the better. The people of Aleppo need such support more than ever, especially with the recent multiple deaths brought about by the intense fighting and the thousands of people being displaced. Power and water were also cut, affecting about two million people. If we rely on the religious roots of America as a beacon of freedom, shouldn’t the Muslim religious community be offered an equal seat? For as long as I can remember, I have been intrigued by the use of the term “the Judeo-Christian ethic” to describe the values and the moral, ethical and spiritual teachings that define American exceptionalism and this nation’s understanding of itself and its mission in the world. That Jews and Judaism, a community that makes up less than three percent of the American population, can be equated with Christianity, a religion to which the majority of Americans adhere, is nothing less than astonishing. But a close look at the historical record belies this concept. Until very recently, no more than 50 or 60 years ago, there was practically no precedent whatsoever for understanding Judaism and Christianity as sharing a common core of beliefs, practices or morals. It was not until 1952, perhaps with an eye toward the devastating effects of the Holocaust that destroyed more than two-thirds of European Jewry, an event whose consequences he personally witnessed, that President Dwight D. Eisenhower made the concept a part of our national religious vocabulary. In connecting the term with the ideals of the Founding Fathers, he stated that ” ‘All men are endowed by their Creator.’ In other words, our form of government has no sense unless it is founded in a deeply felt religious faith, and I don’t care what it is. With us, of course, it is the Judeo-Christian concept, but it must be a religion with all men created equal. What Eisenhower did not say was that from its very creation, the U.S. Constitution was denounced by anti-Federalist opponents as a “godless”document. The separation of church and state, so important to the vision of the Founding Fathers, and the role of religion in political life became major issues in the 1860s and 1870s, a period where “Know Nothing” nativist sentiment increased in response to the growth of immigrant populations. The National Reform Association, a coalition formed in 1863 by 11 American Protestant denominations emphasized the “Christian” character of the nation and advocated an amendment to the Constitution that would permanently and officially align the United States with Christianity. Roman Catholics were not included in this effort to “baptize” the American Constitution, and Jews were clearly not a part of this vision. Although the efforts of the National Reform Association never reached beyond the House Judiciary Committee, where it languished for years, and even though it was periodically reintroduced with no success, the “Christian” character of America was self-understood by large parts of our nation. For American Jews, a Christian America meant quota restrictions to Ivy League universities, as well as to medical and law schools, jobs that were advertised as “Christian only” and a growing national antipathy that revealed a dislike of Jews at the beginning of World War II only exceeded by negative feelings toward Germany and Japan. Much of that pronounced anti-Semitism disappeared or went underground in the years after 1945. It became “uncool” to be connected to openly anti-Semitic feelings although Jews were systematically excluded from certain exclusive neighborhoods, summer establishments and private clubs well into the 1960s and beyond. Such restrictions were a part of Maine’s history as well. If a goal of the Islamic State group and other jihadists was attained—the expulsion of Christianity from its birthplace in the Near East—it would “destroy the richness of the tapestry of the Middle East and [be] a hammer blow to our shared heritage,” said a Muslim Jordanian prince and a Jewish proponent of interfaith relations. The two men called ISIS’ attacks on Christians, which the US State Department has classified as genocide, “sickening.” They said ISIS’ vision is an “apocalyptic” one that “harks back to a mythic Golden Age” of Islam. It is “solely the creation of the warped minds of today’s jihadists,” they charged. “Daesh want to take us to a new Dark Age, an age made even darker by the dangers that the gifts of science and technology pose in their hands,” they said, using an Arabic nickname for the jihadist group. 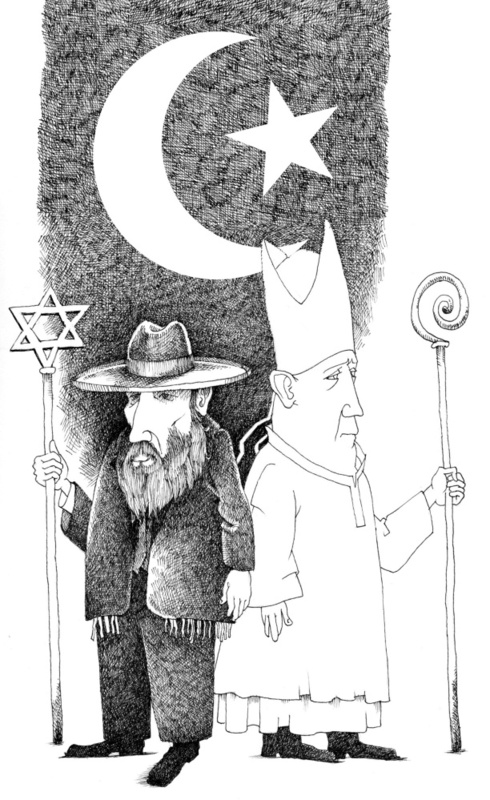 Helping to end this dangerous slide towards hatred, self-destruction and fratricidal conflict is the main challenge for all of us involved in interfaith dialogue. This requires us to step up our efforts to increase understanding that what unites the three great faiths of our region is far greater than any differences. We must stress, too, that respect for the past and learning from it does not require us to live there. But this must be coupled with an honest recognition that all the Abrahamic scriptures – the Christian Bible, the Jewish Tanach and the Koran – contain texts which are divisive and include attacks on other groups. Throughout history, they have been used to justify the most appalling actions in the name of God. These texts, which carry weight and authority, cannot be deleted or ignored. So how do we counter their divisive message which, in the wrong hands, can be read as a license for bigotry and violence? (an astonishingly profound interfaith article from Fox News. . . Miracles sometimes do happen). I’ll never forget the day my son died. I rushed Tim, out to the car—leaving Ruth with the other boys—and drove as quickly as I could to the nearest hospital. Halfway there Tim went into cardiac arrest. His sudden asthma attack was taking his life, and we were desperate. The dark streets of Nairobi were deserted. All I could see was a lone man, walking in the darkness from a shopping center. I quickly blocked his car with mine, and I demanded that he drive my car to the hospital while I climbed into the back seat and frantically administered CPR on my son. In a passing moment of hope, Tim’s heart began beating and he started breathing again. When we reached the hospital, the medical staff began emergency treatment for Tim. Our son was unconscious, but breathing. As Ruth, my oldest son Shane, and some friends began to arrive, we huddled to pray. When we next saw the doctors, their eyes told us what had happened even before they spoke a word. Tim was gone. He was sixteen years old. We have never wept as we wept in that moment. In the five years we had lived as missionaries in the Horn of Africa and its surrounding countries, we had experienced heartbreak and stared the evil of terrorism straight in the face; but nothing had prepared us for this. We had devoted our lives to serving the poor, and yet God had allowed our son to be a casualty of our sacrifice. We couldn’t help but ask ourselves: is all of this really worth it? I don’t even know where those words came from. There was something profoundly supernatural about it. It was as if God was sitting right there with us in our pain. Knowing Tim didn’t want to go back to America for college, but wanted to remain in Africa and become a teacher—Africa was truly his home—we decided to bury Tim at his school in Nairobi. The funeral was scheduled for the following Saturday. During that week, our home was filled with people every hour of every day. Neighbors, Tim’s fellow students, colleagues and friends from our Kenyan church enveloped us in their love and care. 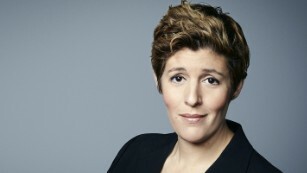 Sally Kohn is a n activist, columnist and television commentator. Follow her on Twitter: @sallykohn. The opinions expressed in this commentary are hers. (CNN) It’s clear that Donald Trump has no idea what Sharia is. Earlier this month, Trump proposed what he described as “extreme vetting” to ban immigrants who “believed Sharia law should supplant American law.” But while this irrational fear-mongering might play well to some of his supporters, it is detached from reality. So, what exactly is the truth about Sharia, and how does that help us combat extremism? In short, there is a difference between personal, spiritual Sharia and the political incorporation of Sharia into law. And within both, there are progressive interpretations as well as more fundamentalist conservative interpretations. So the word Sharia doesn’t mean one thing. Leading members of Britain’s Muslim community have attended a London church service to show solidarity with their Christian neighbours. The Muslim men and women joined the congregation of St John on Bethnal Green for Sunday eucharist yesterday to demonstrate friendship and community in the wake of the brutal murder of Father Jacques Hamel in France. Among the Muslim guests were Dr Mamadou Bocoum, an imam, a lecturer in Islamic Studies and board member of the Muslim Law Council, Rabina Khan, a Tower Hamlets councillor, and Mohammed Amin, the first Muslim to become a partner with accountants Price Waterhouse in the UK. St John’s has a long history of interfaith work in east London.